A unique, customizable, extremely powerful online platform providing tailored solutions for your clinical project. ClinFlow's unmatched 'decidemedical' online data transfer platform, is a unique and extremely powerful platform to support even the most complex clinical projects. 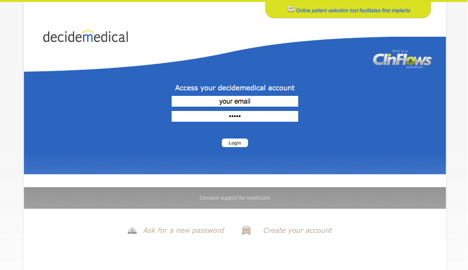 “decidemedical” enables all stakeholders to fulfil their tasks and responsibilities in a project by defined access roles and embedded communication tools. Collaboration and sharing of clinical cases. Involve proctors, medical experts and your field force in case review processes, online, safe and easy to use. 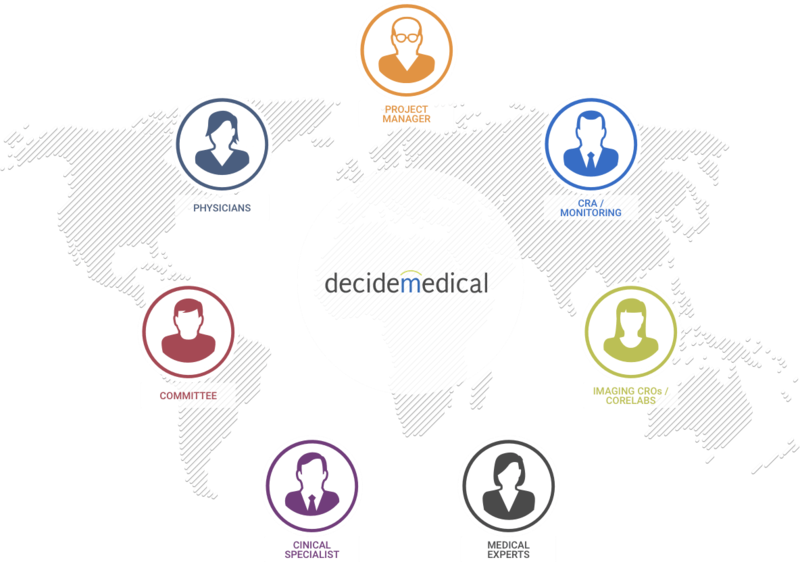 “decidemedical” is the only solution offering such a comprehensive approach to collaborate on clinical cases. Share clinical data and medical images in tailored workflows with embedded communication tools. Fully scalable regarding volume and workflows.